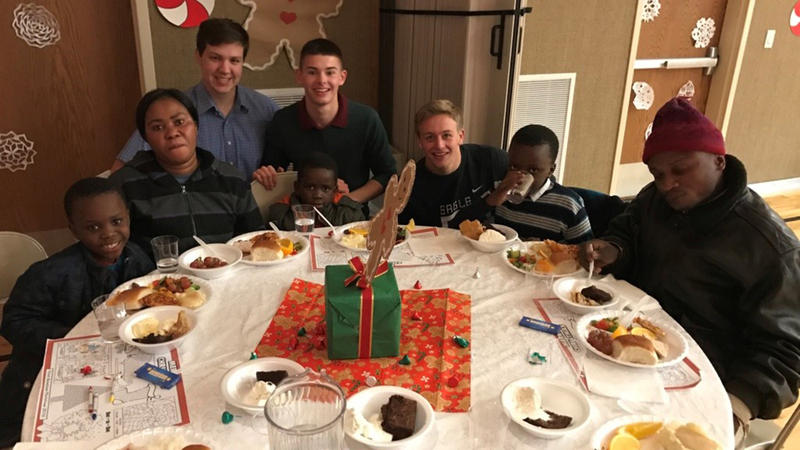 For the first part, members of our ward adopted 18 refugee families for Christmas. Each participating member family was paired with a refugee family, and the members provided Christmas gifts for their designated family. “What really surprised me when I looked at their needs and wants lists was how many of them wanted just the basics—warm coats, gloves, and blankets. Nearly every family wanted blankets,” said Heather Davis, whose family adopted a refugee family from Afghanistan. When ward members went to meet or deliver gifts to their adopted families, they often came just in time to help with some major needs. “I know the Lord used our ward as His hands to welcome these people and meet their needs,” said Sister Davis. Jason and Teresa Peery took their children to visit an apartment where a single mother from Africa lived with two other single moms and their babies. When they arrived, they found that the women had been living without water for a few days due to a broken pipe. The Peerys and another family in our ward, the Williamsons, rushed to the store and loaded up gallons of water so the refugee mothers could make bottles, flush toilets, and wash up. When the Oto family went to visit their adopted family, they found that the heat had been turned off in the family’s apartment. Additionally, this family had no blankets—not even on their beds—and no warm clothes. Marvin and April Oto and their children helped this family acquire supplies and get their heat back on. The youth were in charge of the second part of the project. 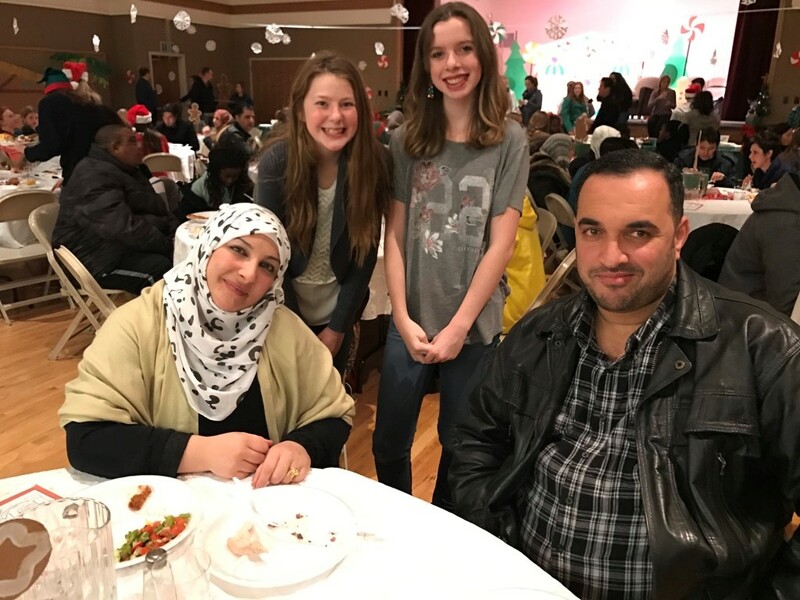 For weeks, they planned and prepared a First American Christmas Party for these 18 refugee families in order to welcome them and to share their cultures together. The priests orchestrated the transportation, working with ward members to drive to downtown Boise in a snowstorm to pick up (and later take home) each of the refugee families. “The family in my car didn’t speak a word of English, and of course, I didn’t speak their language. . . . But I just sang songs and chatted away,” said volunteer driver Cory Mecham. The Beehives sent out beautiful invitations to each family. 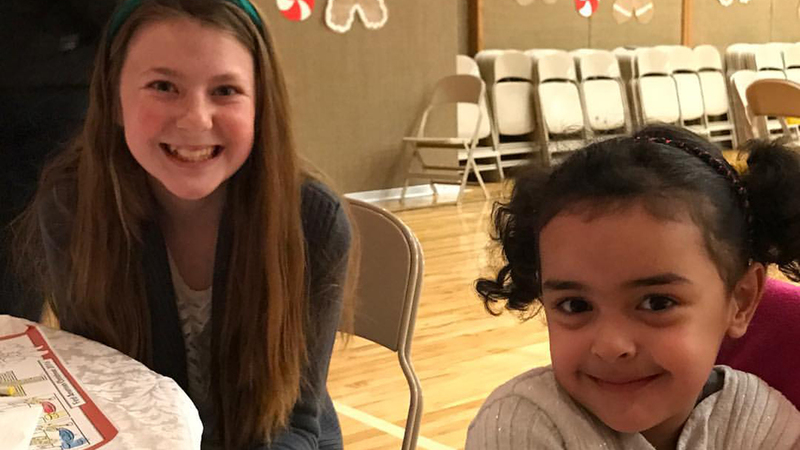 The teachers and the Mia Maids oversaw the setup and transformation of the church gym into a winter wonderland as well as the eventual cleanup. The deacons took charge of the program portion of the evening. 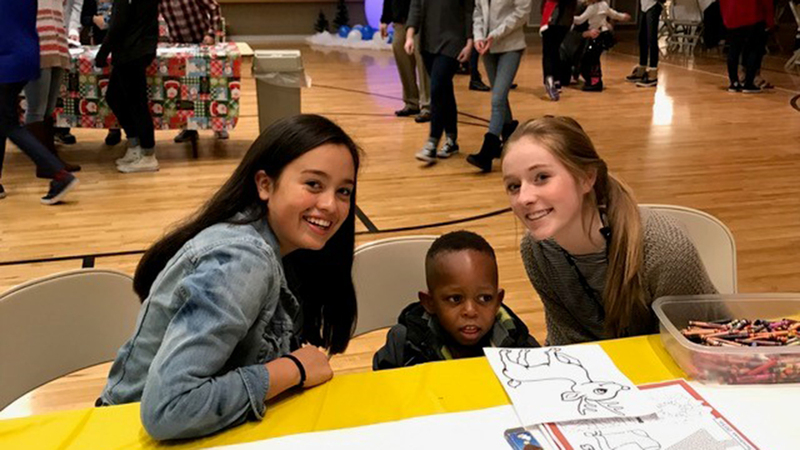 Not only did they provide coloring stations for the younger children, a snowflake-making center, and a cookie-decorating table, but they also made sure Santa Claus had a gift for every refugee child (thanks to Toys for Tots). The Laurels researched dietary restrictions, planned a menu, and organized a feast for the refugees and the youth of our ward to eat. 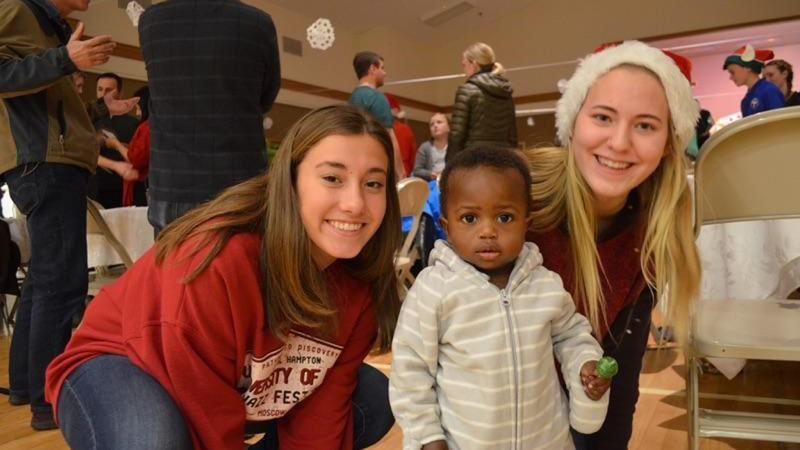 Through this project, our youth learned not only about other cultures and the blessings that come from serving some of the most needy in our society but also how to be leaders. The youth took charge, and the adult leaders involved stayed behind-the-scenes. As a ward, we hired three interpreters to help with communication at the party. However, as we watched our youth dance, play games, eat dinner, and create keepsakes with the refugees, it was quite clear that there was plenty of communicating going on without the help of the interpreters. Throughout the evening, there were at least two or three teens eating or talking with each family at all times.